At the last minute, my sister and I decided to go away for Easter this year. We wanted sun and beach but weren’t particular about location, so we looked for airfare sales. 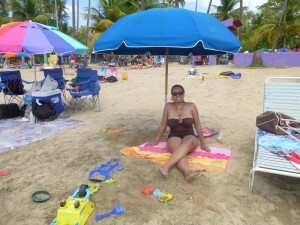 When we found round trip tickets to San Juan for $337, it was a no brainer – Puerto Rico it was! We booked our tickets three weeks before departure and started working on an itinerary. This would be my second trip to PR and I wanted to explore the island. We ultimately decided to stay in two locations: Luquillo, on the northeast coast, and San Juan, the capital and largest city. We landed on Easter Sunday around 2 pm in the afternoon. After a 30-minute drive from the airport, we arrived at our beachfront vacation condo at Playa Azul in Luquillo. We got there around 4pm, early enough to spend a couple of hours on the beach before sunset. The beach was packed with mostly locals and a few tourists enjoying the beautiful weather and views. 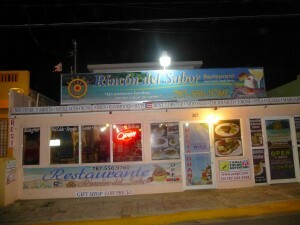 Later on for dinner, we ventured out to Rincon del Sabor, a family-owned restaurant operated by Luis and his chef wife, Carmen. I had the Snapper Creole (Criollo) served with rice and beans (which I learned are called arroz con habichuelas, not frijoles as beans are called in Spanish in Mexico). It was delicious! Luis was the ultimate host during the meal and made me feel like family. When the meal was done, we shared a shot of his strong homemade moonshine. 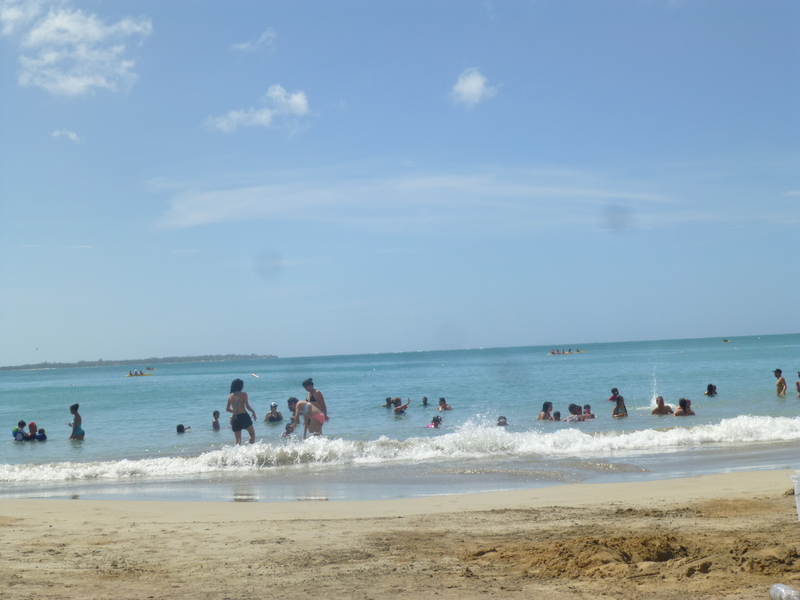 On the Monday after Easter, which was a Puerto Rican holiday, we headed to Luquillo Beach (Balneario Monserrate). It was a sunny, hot day and the beach was packed with mostly families and groups of young people. We spent the entire day there, meeting friendly people on the beach and soaking up the sun and fun. By late afternoon we had built up an appetite, so for dinner we went back to visit Luis and his family at Rincon del Sabor. Once again, the food was good, the service was great, and we had a blast. We were even serenaded by Luis’ friend who stopped by to say hi; his voice was beautiful. 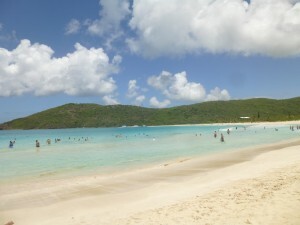 On Tuesday, we visited the island of Culebra. We mainly wanted to see Flamenco Beach, which was recently named one of the top 10 beaches in the world (Yes, it lived up to its billing). The beach was beautiful with fine, white sand and crystal clear, warm water, but it took some effort to get there — first, we had to drive from Luquillo to the ferry dock in Fajardo (about 20 minutes away); then, we bought our tickets and stood in line for over an hour before boarding the ferry; then, we took an hour-long ferry ride; finally, after arriving on the island, we rented a golf cart and rode to Flamenco Beach. It was another hot, perfect day for lounging on the beach and we stayed for several hours before leaving to see more of the island. 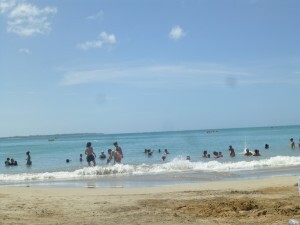 Next, we took the bumpy ride to Tamarindo Beach, which is known for its reef and snorkeling with sea turtles. We didn’t snorkel, so we missed out on the wildlife, but it was pretty nonetheless. After taking some photos, we left there and explored the entire island for about an hour before heading back to catch our return ferry. 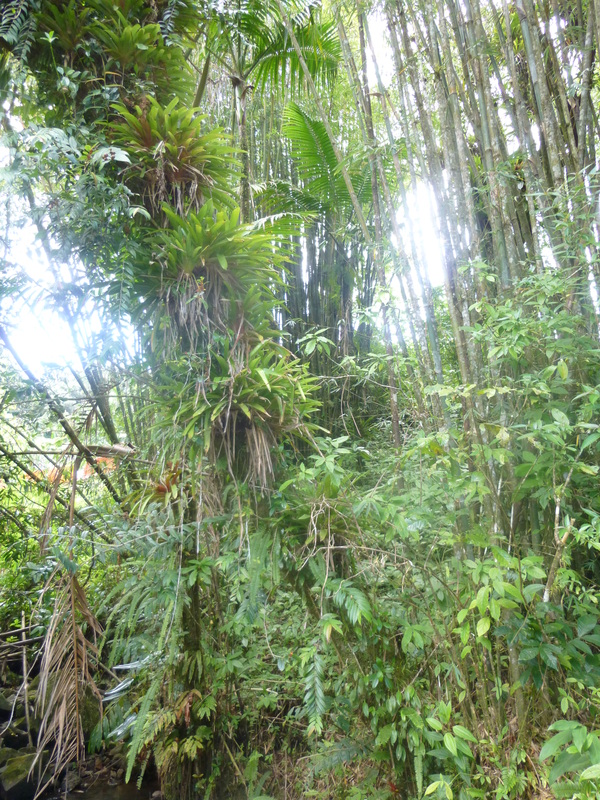 On Wednesday, our last day in the Luquillo area, we went to El Yunque, the only rain forest in the U.S. National Park system. It was just as beautiful as I remembered. 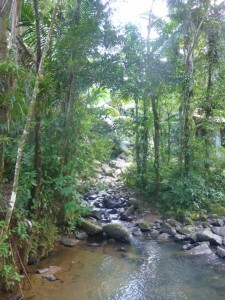 We drove around gazing at the lush greenery before stopping to take pictures at one of the many waterfalls. We then took an hour long hike on the La Mina trail. The heat and high humidity got the best of us so we didn’t make the full hike, but still there were beautiful views at every turn. 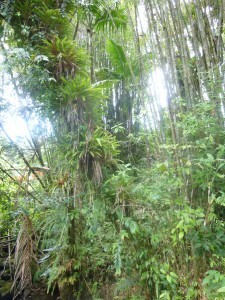 After El Yunque, we headed back to San Juan where we stayed for the rest of the trip. By the time we arrived and got checked into our hotel, we were both hungry and tired so we decided to eat dinner at the hotel. I tried another Puerto Rican dish, Mofongo (mashed plantains) with garlic chicken, which was tasty and filling. We met a nice Puerto Rican couple seated next to us, and we talked and shared cocktails over dinner. 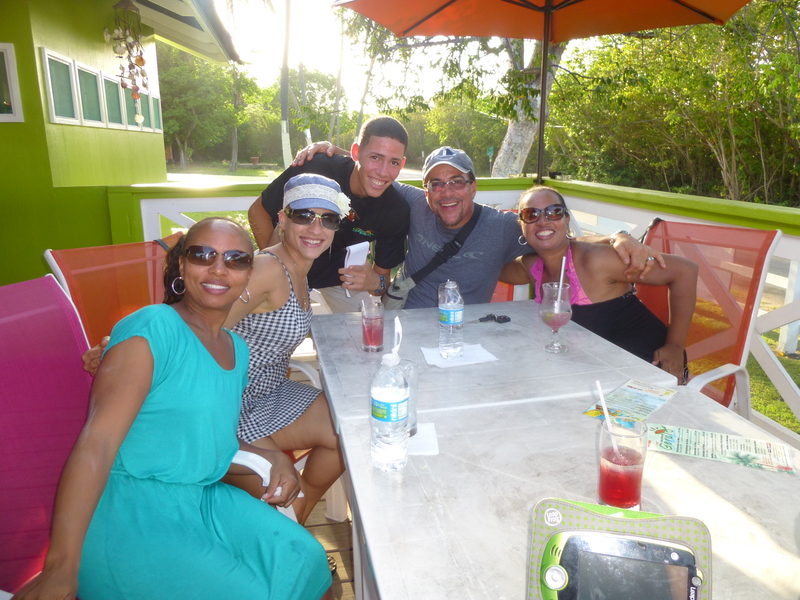 They invited us to hang out with them and see another part of the island before we left. Of course, we accepted and made plans to spend the day together on Friday. On Thursday, we went to the Plaza Las Américas mall in San Juan (at the suggestion of our new friends Lee and Yemilyn). This huge shopping center is like a typical American mall, with Sears, JCPenney, Macy’s, a movie theater, and a variety of restaurants. We walked around most of the mall, but found no deals good enough to travel with back home. So after several hours we left and decided to explore more of the city. We finally ended up in Old San Juan for some sightseeing, souvenir shopping, and early dinner. We returned to the hotel in time for the free happy hour and I double-fisted two rum punches while strolling the nearby Isla Verde beach. On Friday, we met up with Lee and Yemilyn for a day of fun and sun. We followed them to Guayama, on the south coast, and after several twists and turns on the back roads we arrived at the hidden Pozuelo beach. We found shade under a mangrove tree and had the beach to ourselves for most of the day. Between dips, we drank beer and wine and had great conversations about life in the United States and Puerto Rico. We ended the day with finger foods, drinks and dancing at El Balcón de Gerald, a outdoor neighborhood bar. 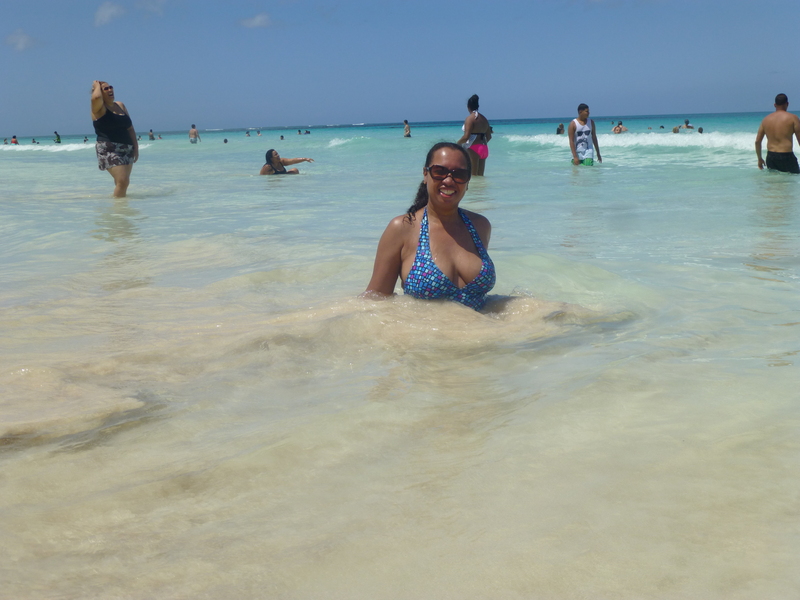 We had a wonderful day and vowed to meet up again during my next trip to PR. 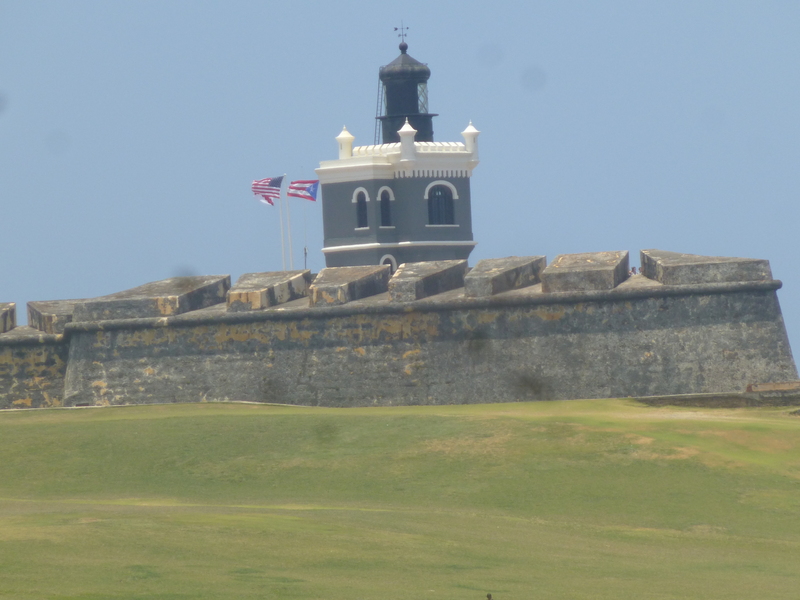 On Saturday, we spent the day in Old San Juan. 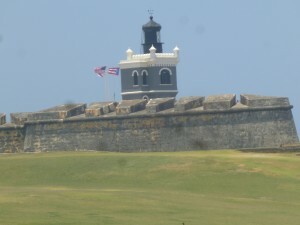 We started out in the morning flying kites near El Morro Fort. It was teaming with other people doing the same. 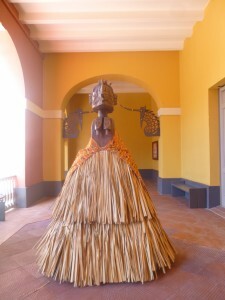 Later, I visited the Museo de la Americas which celebrates the influence of Indian, African and European peoples on Puerto Rican history and culture. 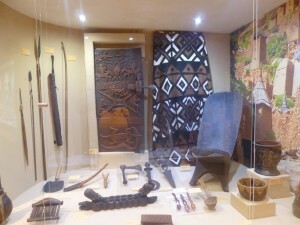 There were eight exhibition rooms, including three permanent collections: Traditional Art of the Americas, The Indian in America, and African Heritage. 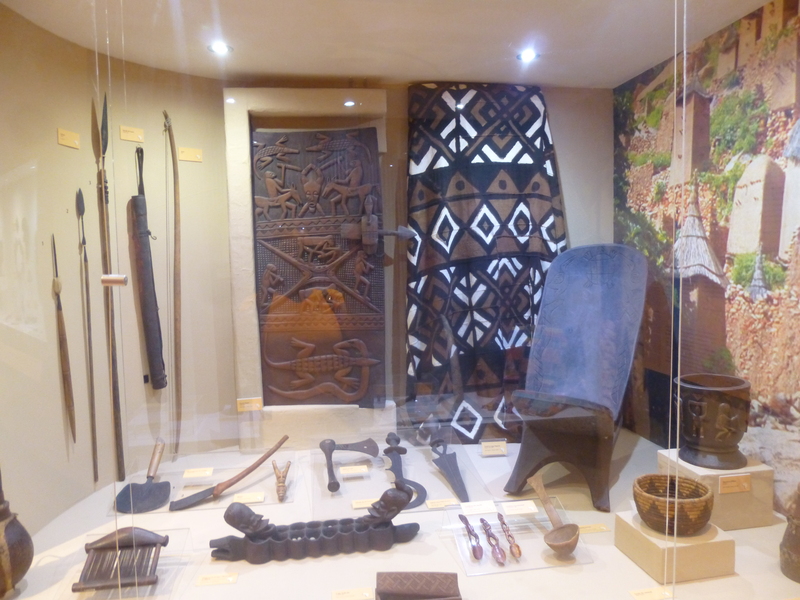 I especially enjoyed the museum because the exhibits are written from a non-colonial perspective (with both English and Spanish translations). 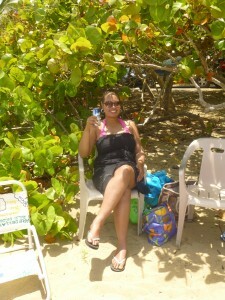 Later that afternoon, we headed to Loiza, on the northeast coast. 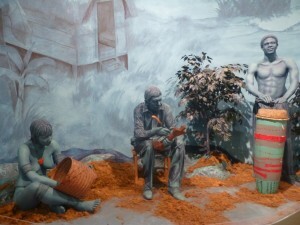 I’d learned it was the center of Afro-Puerto Rican culture so I wanted to go before I left. I didn’t get to spend much time there, but I enjoyed it and I’m glad I made the time to visit. I’d definitely go back. I returned home the following morning, reminiscing about the trip and thinking about what I wanted to see on my next visit. With cheap airfares, no passport needed, friendly people, and plenty of beaches, nature, culture and history, Puerto Rico is the perfect getaway from the USA. What do you like about Puerto Rico? Share your thoughts below.